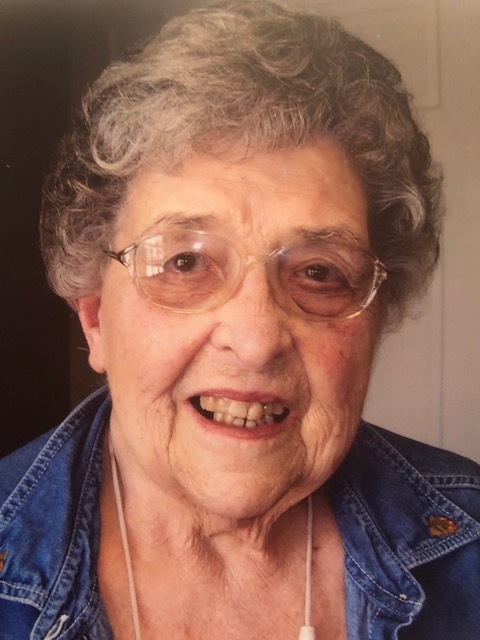 Charlotte M. Schnapf, 85, of Logansport formerly of rural Royal Center passed away Monday, July 9, 2018 at her residence. Born on March 14, 1933 in Grass Creek, she was the daughter of the late Harold and Ersa May (Crabb) Sommers. Charlotte was a 1951 Grass Creek High School graduate. She also attended Purdue University. On February 1, 1953 she married Donald R. “Snapper” Schnapf. He preceded her in death on April 23, 2013. She was a lifelong homemaker and farm wife. Charlotte was a member of Grass Creek United Methodist Church. She was a former 4-H Leader and member of the 4-H Council. She was also past president of the Extension Homemakers. She and Don enjoyed traveling to Michigan to fish and spend time with friends. Survivors include her nephew, Mark Schnapf (Jodie) of Newburg, niece, Rita Meny (Steve) of Haubstadt, cousins, Tom Garner (Linda) of Kewanna, Vickie Scantlan (Ron) of Warsaw, Mary Sayers (Ed) of Winamac, Carol Martin of Texas, Carl Dean Sommers (Eileen) of Kewanna and special friends, Harry and Dorothy Richter of Rochester and Norma Miller of Royal Center. She is also survived by numerous great nieces and nephews. She was also preceded in death by her son, Gerald “Gary” Schnapf. Services will be at 10:00 a.m., Friday, July 13, 2018 at Harrison-Metzger-Rans Funeral Home & Crematory, Royal Center with Pastor David Sommers officiating. Visitation will be from 4:00 p.m. to 7:00 p.m., Thursday, July 12, 2018 at the funeral home. Burial will be at Grass Creek Cemetery. Memorial contributions may be made to the Gary Schnapf Scholarship Fund in care of Pulaski County Community Foundation and/or Grass Creek United Methodist Church. Please sign the online guestbook or leave a condolence for Charlotte at www.ransfuneralhomes.com.